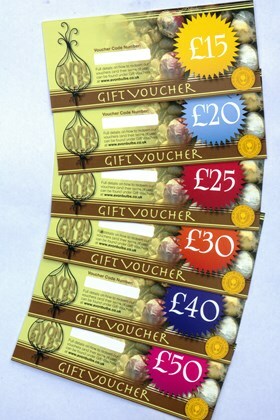 Avon Bulbs Gift Vouchers are supplied in an attractive card with your personal message. Available at any time of year, the recipient is also added to our mailing list for future catalogues (unless requested otherwise) so that they can use the voucher at any time in the future. £15 minimum voucher value – free UK delivery.